A constitutional amendment limiting the amount of time Congress members can hold office has been introduced by Senator Ted Cruz of Texas and Rep. Ron DeSantis of Florida, both Republicans. But they'd be off limits, as would all others currently in federal legislative elected office. Former Rep. John Dingell (D-Michigan) held his seat in the House for 60 years before leaving in January 2015. The late Senator Robert Byrd (D-West Virginia) died while in his 51st year in the upper chamber. Senator Patrick Leahy (D-Vermont) is the longest serving senator currently in office, having begun his first term in 1975. But the new bill proposed on Tuesday by Cruz and DeSantis could limit such long political careers. The amendment seeks to limit senators to two six-year terms and House of Representatives members to three two-year terms. “D.C. is broken, the American people resoundingly agreed on Election Day, and President-elect Donald Trump has committed to putting government back to work for the American people. It is well past time to put an end to the cronyism and deceit that has transformed Washington into a graveyard of good intentions.” Cruz said in a statement. While it is possible that the amendment could be ratified before Cruz and DeSantis run for reelection in 2018 - Cruz has filed paperwork to run for reelection, DeSantis has not - it is unlikely. The amendment has already received pushback from high ranking members of the Republican Party, including Senate Majority Leader Mitch McConnell who told reporters, "We have term limits — they're called elections." Therefore, if the amendment is passed after Cruz and DeSantis run for office, Cruz would be able to spend another 12 years in the Senate, and DeSantis would have another six, rendering the point for congressional terms moot for existing members. Cruz and DeSantis would already be in office by the time the amendment is ratified, meaning it wouldn’t impact them until 2020. 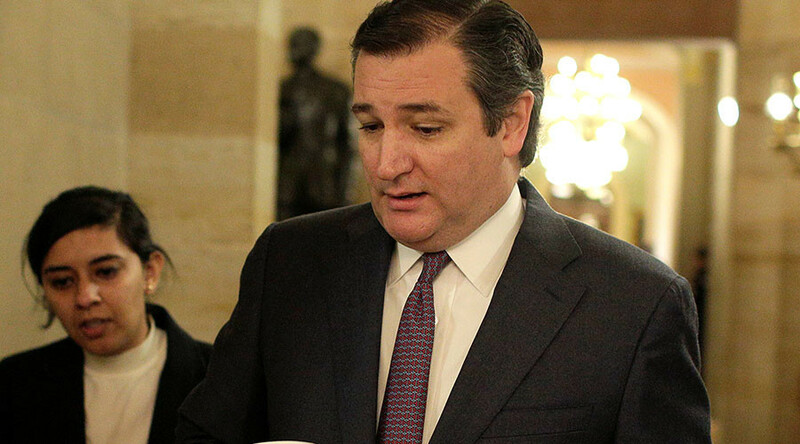 For Cruz, this situation would have especially low stakes, because should he win his 2018 bid for reelection, the term limits would not become an issue until his 2024 reelection, should he decide to run again. Another two terms in office would bring him up to being 65 years old, when he would qualify for a retirement pension from Congress.